Looking for inspiration, creativity and a setting to inspire? 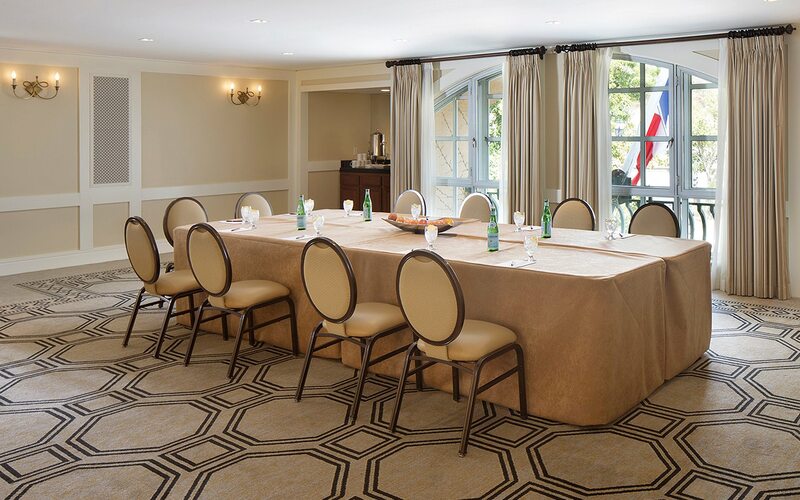 Hold your next meeting of the minds at our French country-style hideaway. 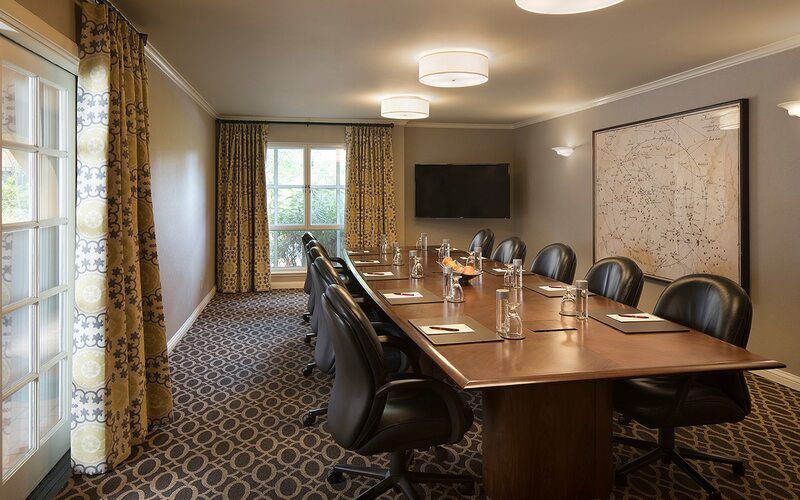 In the spirit the Marquis de Lafayette, French aristocrat and military hero, our sophisticated hotel’s spacious accommodations and personalized service create the perfect backdrop for business. From indoor gatherings and poolside lounging to bistro dining and happy hour cocktails, our humble ambassadors perfect the art of small touches and gracious hospitality. 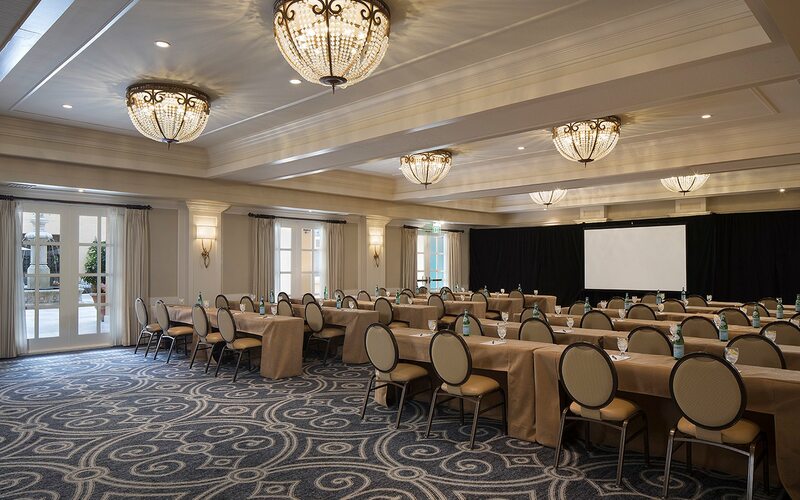 The Lafayette Park’s six conference and banquet rooms provide more than 5,000 square feet of indoor event venues that can accommodate groups of 10 to 220 for meetings, conferences, banquets and private parties. 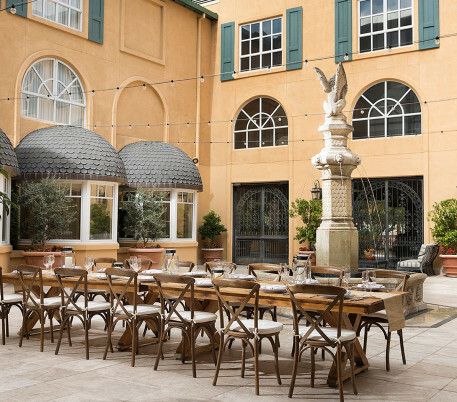 To complement our indoor space, our inviting outdoor courtyards can host groups of up to 250 under the warm California sun. We excel at providing personalized service to your event, including an array of audio/visual equipment and on-site technical support, including computer data projection, theatrical and stage lighting, multi-image presentations, sound systems and more. 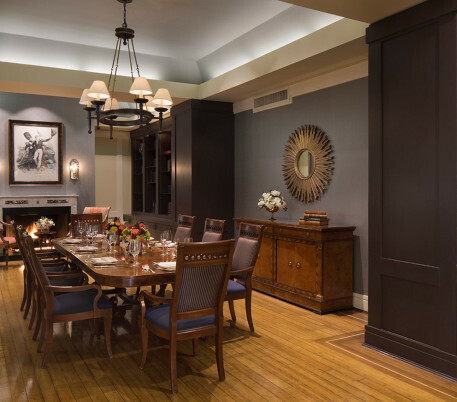 In addition to a broad range of catering options, we can assist with arrangements for unique, personalized gifts and amenities. 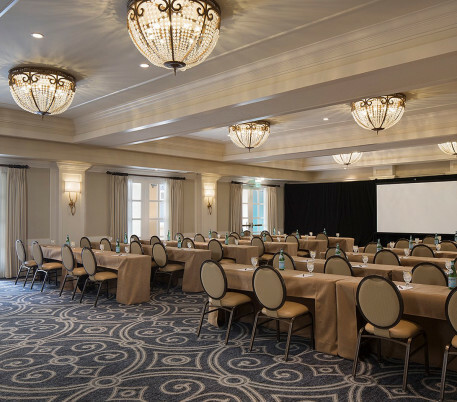 Opening onto the Fountain Courtyard, the opulent Independence Ballroom takes its design cues from the French aristocracy, with silk drapes and crystal chandeliers creating an atmosphere of timeless elegance. 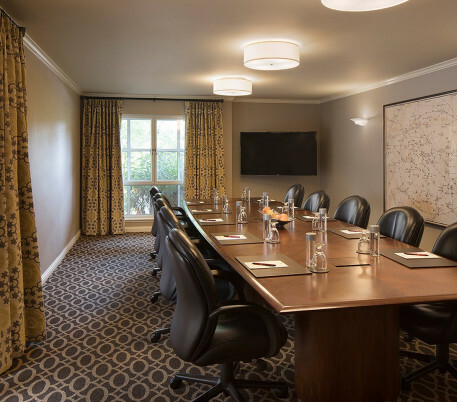 Perfect for high-level meetings, our Boardroom comfortably accommodates up to 14 people in ergonomic executive chairs set around a built-in professional boardroom table. 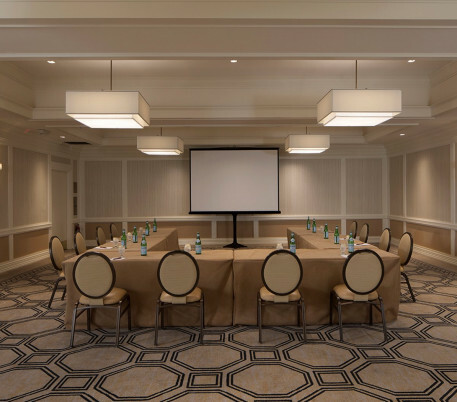 Sophisticated audiovisual presentations are no problem in the Ben Franklin Room, which can be easily adapted to suit a variety of events. 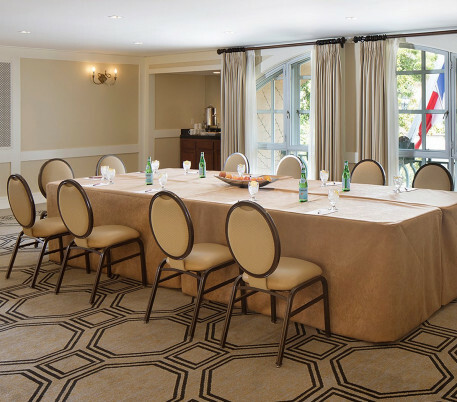 With an abundance of natural light, this elegant event venue makes a great primary meeting room or a breakout space for larger programs. 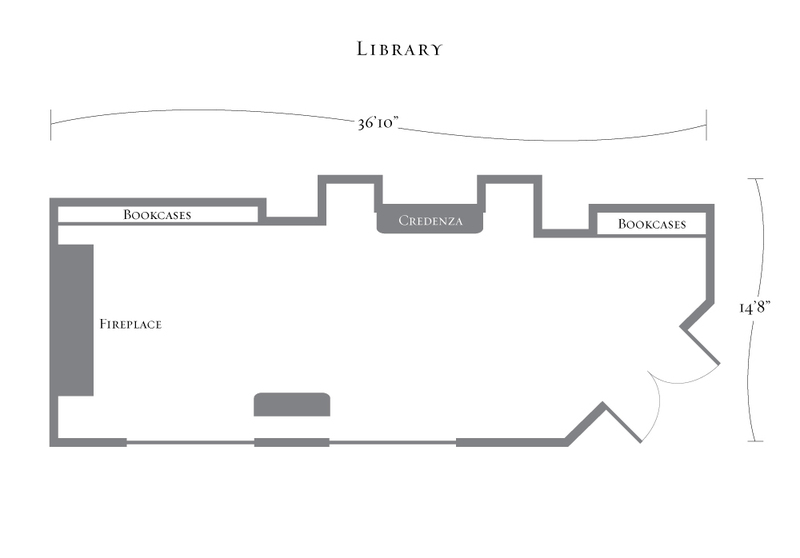 Ideal for an executive gathering, the Diderot Library exudes the drama and richness of a European study. 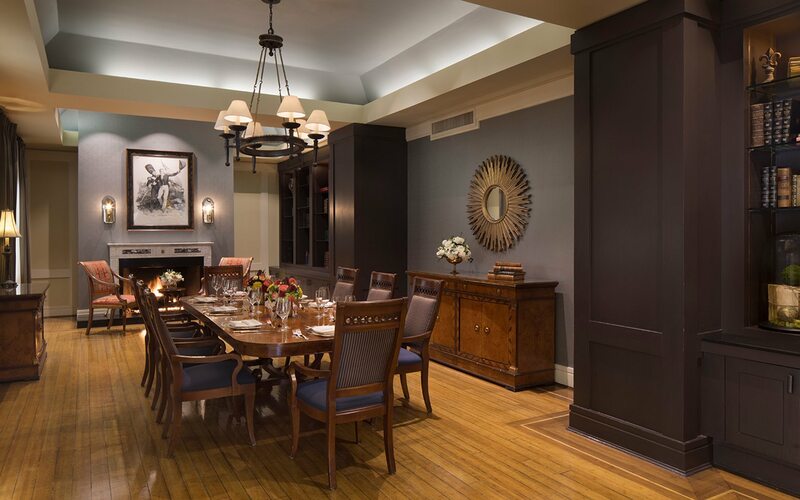 Highlights include cherry wood furnishings, a limestone fireplace, glass blown light fixture, antique books and china, and opulent Renaissance paintings. 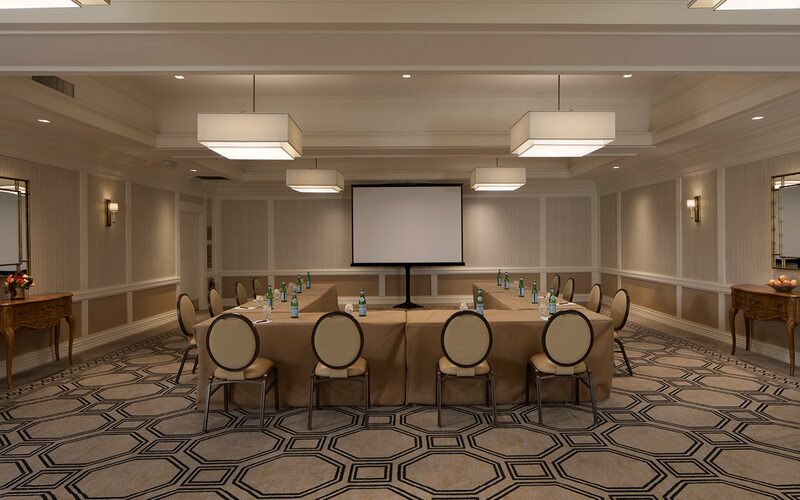 Our spacious and sophisticated George Washington Room is a striking space accented by decorative details and thoughtful architectural features. 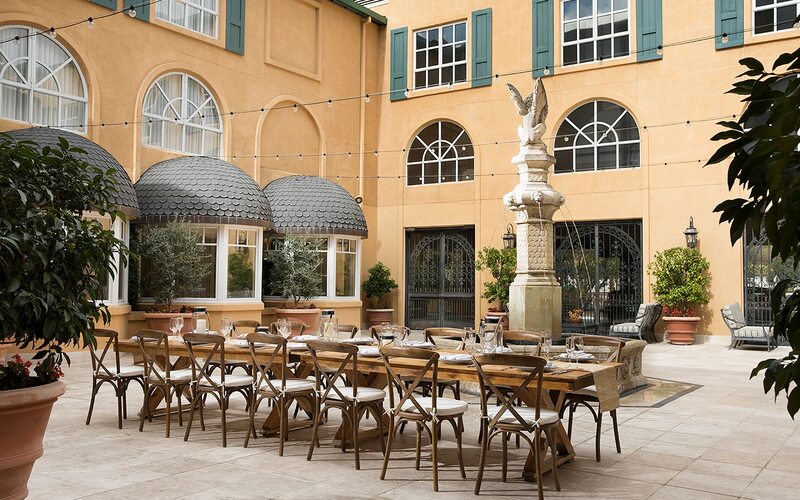 Perfect for a late afternoon reception as the warm California sun begins to set, our elegant European-style Fountain Courtyard is an ideal setting in which to kick off a corporate conference or unwind after a day of meetings.